Did you know PUMPKIN is a fruit? Many people think of pumpkin as vegetable but it’s a fruit, from vine plants known as Cucurbita. My mom roasted another pumpkin and made puree pumpkin. She set aside some to make Frosty Pumpkin. Add plain yogurt into puree pumpkin. Pour into a pumpkin mold. Freeze it for several hours. For the past days, Frosty Pumpkin was my DELISH Tasty Treat after my early morning walk. FIBER : Pumpkin is a great source of fiber, about 3 grams. It is helpful for a dog’s digestive health particularly constipation and/or diarrhea. Moisture: Pumpkin also has high water content, about 90%. 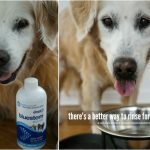 It promotes and improves dog’s hydration. Beta-Carotene: Pumpkin is rich in the anti-oxidant beta-carotene, by just looking at its vibrant color. 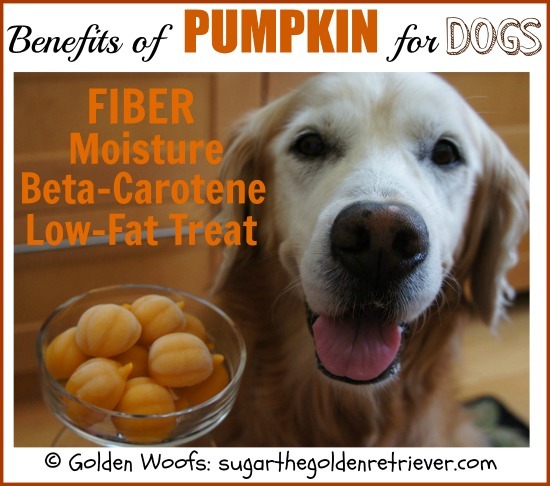 Low-Fat Treat: Since pumpkin is high in fiber, it easily fills-up a dog’s appetite. Pumpkin is a great treat for dogs who need to loose some weight. Definitely Tuesdays Just Got Tastier. This is a Blog Hop I am Co-hosting with my doggie pal Kol. Click Here to for more information and rules of the Hop. If you are joining our Tasty Tuesday Blog HOP, Golden Thanks! Sugar, your Mom has got to be the best woofie cook we know! Another great recipe! Those are SO cute! I’ve never really tried to cook a pumpkin before… totally forgot today is Tasty Tuesday, I think I can join today! We wish we had a bigger freezer so we could make all your yummy treat recipes! Thanks for sharing. Ha, what a great idea. Gotta try that. We totally agree with Prancer! Best cook around! Pumpkin is awesome! The girlz prefer theirs served warm with cool whip! Just kidding! They do like it though! What about some pumpkin pie. Would it be okay for my humans to share their pie with me? We love pumpkin and it is good for us! I have pumpkin cookies on my blog today. Never thought about freezing it with yogurt but I’m sure that would be tasty too! Pumpkin is really healthy for doggies. Those treats look yummy! Your mom is clever. Our boys LOVE pumpkin! Having a bit of pumpkin everyday when we travel keeps them from ever getting upset stomachs! Oooo! Pumpkin! I just gave the chickens a pumpkin yesterday! WE like it when Mom puts Pumpkin in our foods. Peter Peter Pumpkin Eater! I luvs pumpkin cept mama is lazy an stocks up on canned pumpkin. You forgot to mention one key benefit of pumpkins: they make Sugar smile! Sugar that looks really great! I’m not the vegetable&fruit guy but my mom said, she would like to eat it :o) Have a tasty tuesday! We did not know this! Mom said pumpkin is delicious so we are hoping to try it soon! I knew this Sugar and so does Little Bit. What tasty treats! Sugar, you are one lucky dog! Can I tell you how much I love these pictures! 🙂 I certainly want to give these a try! By the way, where did you get that mold? It’s too cute! Oh my goodness Sugar! We want a pumpkin mold. Those looks so cute and we bet they taste amazing. – Two Pumpkin loving Cavaliers. These look such delicious! Such a creative way to use the pumpkin! SUGAR NOT ONLY WERE YOUR PUMPKINS TASTY AND HEALTHY THEY WERE VERY PRETTY. Your chef skills never cease to amaze me! Yum Sugar, freshly made pumpkin is the best!! Your treat sounds delish and you are right, pumpkin is so good for you. Pumpkin is good for kitties to and sometimes we like it, sometimes we don’t! Those look super. Your cooking skills never fail to amaze us. Have a terrific Tuesday. I didn’t know all those pumpkin fun facts! We sure do love frozen pumpkin in our house. Looks good. We will have to try some pumpkin. 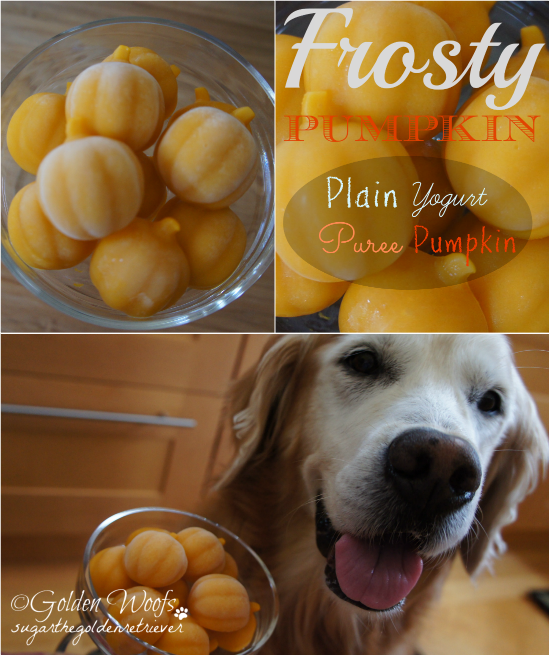 My dogs LOVE pumpkin with yogurt, raw or frozen! I bought two pumpkins for decoration from a farm when we were on vacation. I am going to roast them at some point….thanks for including instructions on how to do that! In the past I’ve roasted the seeds too….I don’t know if the dogs can eat those or not, but I like them! We love pumpkin served every which way, but THAT is a pawtastic idea and SO pretty too! Ooooo, I bets canned pumpkin would work just as well, huh?! Oh, I gots to show Ma this!!! You always have the best moulds to make your frozen treats in. This is a great idea! Luna loves loves loves pumpkin and those molds are so cute! Yum, Sugar! We loooove pumpkin! And you’re right – it’s good for us too! Those molds are so cute! Your mom has the coolest molds! Looks yummy. 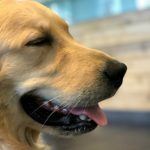 Shop the Most Popular Dog Brands at Chewy! Golden Thanks for helping us support our blogging activities. Some posts and photos may contain affiliate links, we may receive a small compensation but no cost for you. - Some posts & photos on this blog contain Affiliate Links, which means that if you click on the product link Golden Woofs may earn a small commission (but no cost for you).- -Copyright Information- GoldenWoofs.com : SugarTheGoldenRetriever.com All Golden Woofs : Sugar The Golden Retriever images and words copyrighted 2008-2017 by Golden Woofs : Sugar The Golden Retriever owner, unless otherwise credited. Written permission is required to reproduce any images or words in either partial form or its entirety.